The Helios Standard Duty, One Bolt, High Temperature Fire Rated Stainless Steel single cable cleat is a fabricated metallic cleat which has been designed, constructed, and tested in accordance with the International Standard ‘Cable Cleats for Electrical Installations’ (IEC 61914). The Helios High Temperature Stainless Steel 316L cable cleat is available in eleven sizes suitable for cable diameters of 10mm up to 65mm. The cable cleat has an M10 clearance hole for securing it to a mounting surface. Coatings are available upon request by adding the following suffixes to the ordering reference – EC for epoxy coating, PC for polyester coating and TC for thermoplastic coating. Example order reference for epoxy coating suffix EC (FPC2327EC). 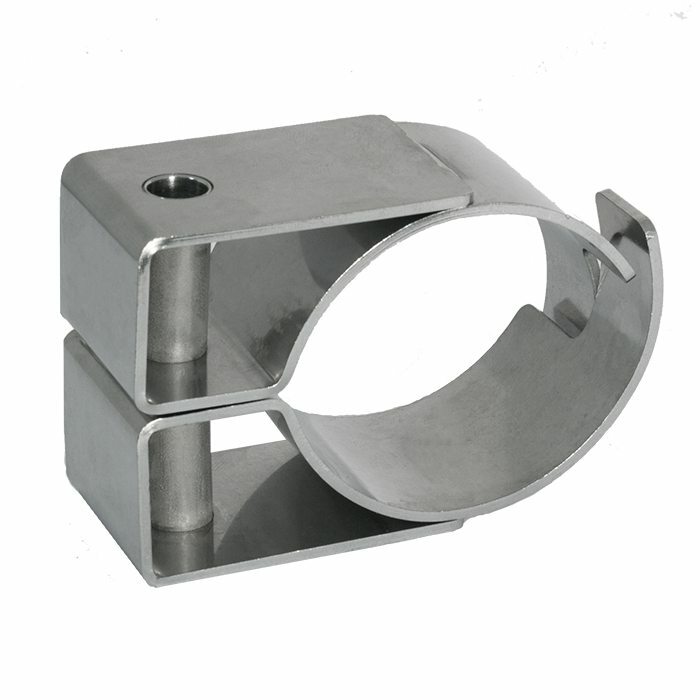 Fasteners required to secure the cable cleat to the support structure are not included but can be supplied upon request.